A select collection of just three, new build detached homes built to a high specification. 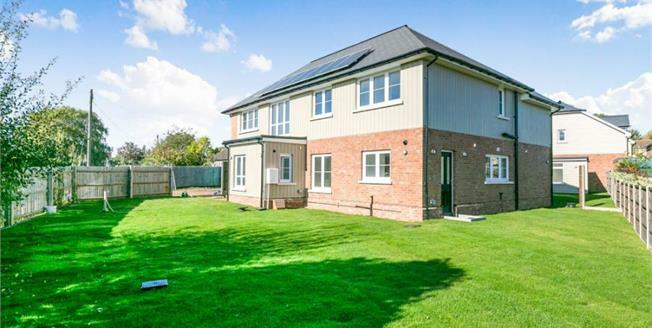 Plot 1 is a fantastic four bedroom detached home. Downstairs features a large dual aspect lounge, study/tv room, spacious open plan kitchen/diner/family room with folding sliding doors through to the large garden, W.C and separate utility room with sink. Upstairs there are four double bedrooms and three bathrooms. The master bedroom and bedroom two, feature en-suite shower rooms and fitted wardrobes. Bedrooms' three and four are serviced by the family bath and shower room and also both have fitted wardrobes. Outside the home there is a garage and off street parking. The large rear garden features a fully serviced garden room, ideal for use as a home office or games room.